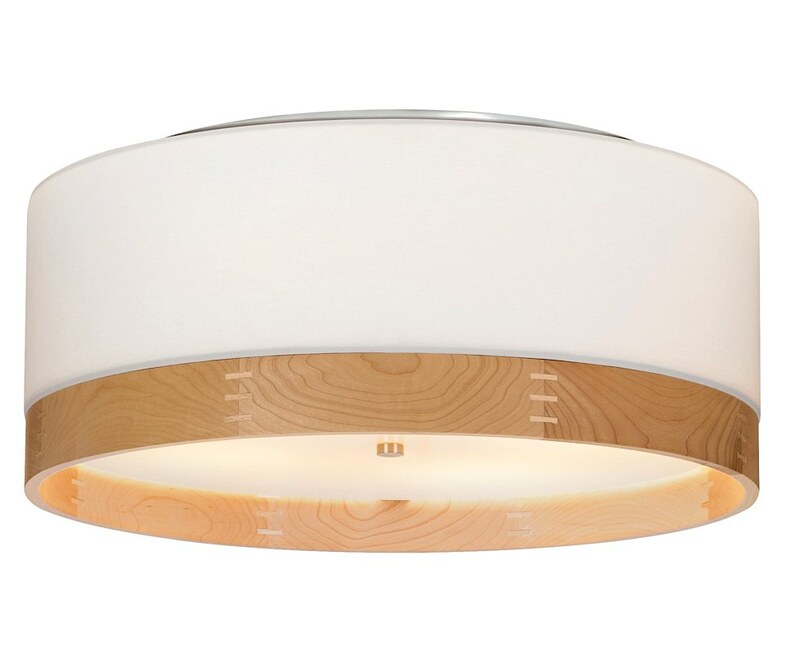 The Topo takes the popular drum pendant design to a new level! Its unique contemporary look is acheived with a combination of its white fabric shade and maple wood trim. Perfection for any modern living space. The metal hardware is available in antique bronze, satin nickel and polished nickel finishes and adds just the right detailing. Also available with walnut wood trim - please inquire. Select incandescent or fluorescent lamping. The Topo includes four 60W medium base lamps or four 18W compact fluorescent lamps. The incandescent version is dimmable with a standard incandescent dimmer. For full information, download the specification sheet.